Indian passport holders with a valid American visa or a Green Card will now be eligible to obtain a UAE visa on arrival, as per the decree approved by the UAE Cabinet. The decision to have a simplified visa process is aimed at advancing the UAE-India relations in economic, politics, and trade. It also contributes to achieving UAE’s vision to be the leading country in attracting global tourism. The visa will be valid for 14 days, with a single extension possible for a fee. Lots of queries were present in connection with this. Thought of writing this post to transfer the experience gained in obtaining the VISA. I travelled to Dubai, United Arab Emirates in Emirates Airlines which landed in T3. Upon arrival after crossing the connections wing advanced to the Arrivals Immigration. 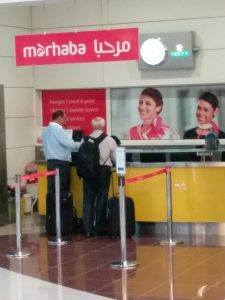 To my left, there was Marhaba Services counter. Since the time which I landed was very odd, there were the only couple of people in the queue. The lady at the counter got my passport, checked my USA Visa validity and asked for 120 Dhirams (Approx 32 USD). I said I don’t have cash, and she said she can accept VISA / MasterCard / American Express cards. How lucky I was! She got it and put a sticker on the receipt and asked me to proceed with the Visa on Arrival counter. And, yes that’s it. They stamped my Passport and I entered into Dubai, UAE where I can spend up to 14 days. But I am bound to some work back in Country, so will be leaving in 2 days. 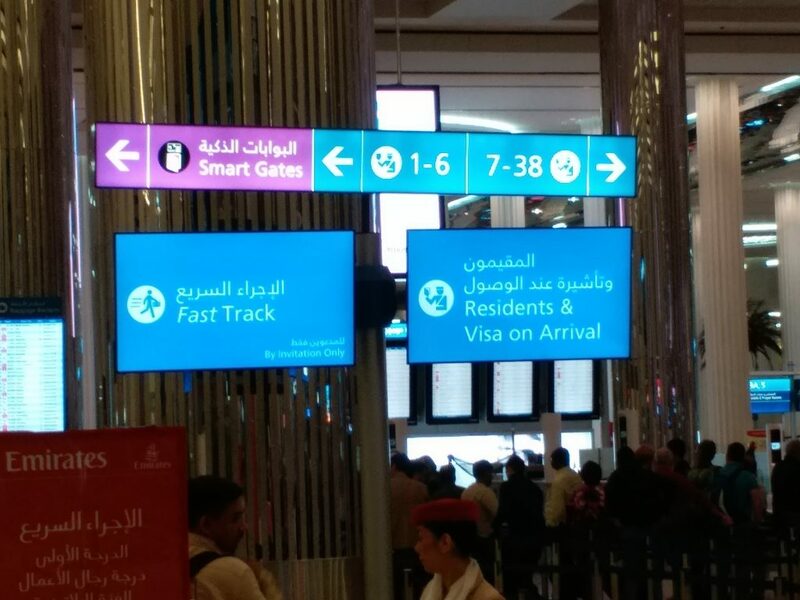 To clear for many people, B1/B2 US Visa is valid for entry into Dubai. Heard from the staffs that Indian Passport Holders with valid UK or EU Visa more than 6 months are also allowed to enter into Dubai for 14 days and the same process is applicable.